Guamanian children welcome Marines after liberation from Japanese concentration camp, 1944. If US flag was ever found by the Japanese, standard punishment was entire family (to include the children) would be executed by beheading. The sovereign US soil of Guam has specifically been threatened by North Korean absolute dictator Kim Jong-un. And not just any threat. With the news breaking today that Kim’s military has been able to “miniaturize” a nuclear warhead to fit their missiles, it was also breaking news that Kim specified that the over 150,000 fellow Americans on Guam are in his nuclear cross hairs. North Korea has successfully miniaturized a nuclear warhead to mount on a ballistic missile, according to a new report. The assessment from the Defense Intelligence Agency, reported Tuesday by The Washington Post, puts Pyongyang closer than ever before to becoming a full-fledged nuclear power capable of striking the United States with a nuclear weapon, something it has often threatened to do. 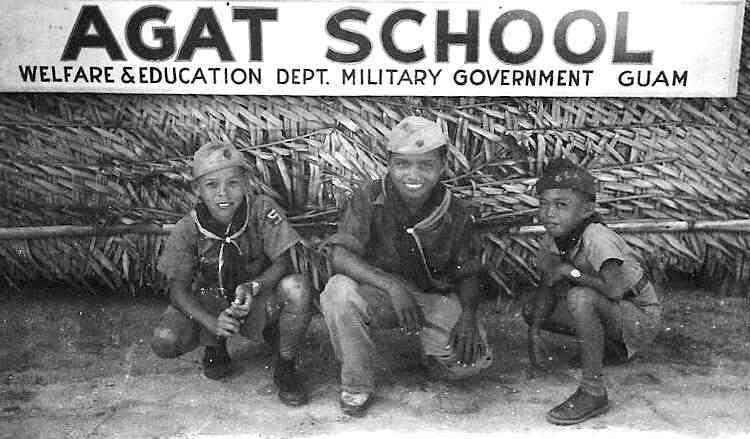 Guamanian Boy Scouts, 1945, Agat village, Guam. North Korea said on Wednesday it is “carefully examining” a plan to strike the U.S. Pacific territory of Guam with missiles, just hours after U.S. President Donald Trump told the North that any threat to the United States would be met with “fire and fury”. 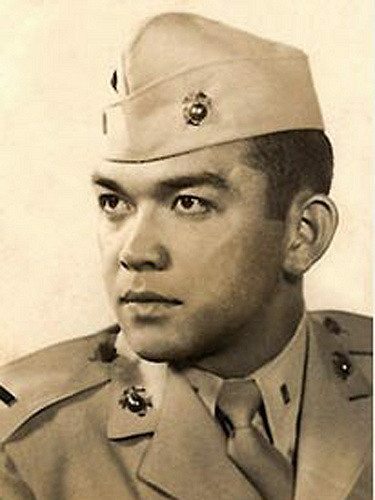 Brigadier General Vincente Tomas Garrido “Ben” Blaz, USMC. 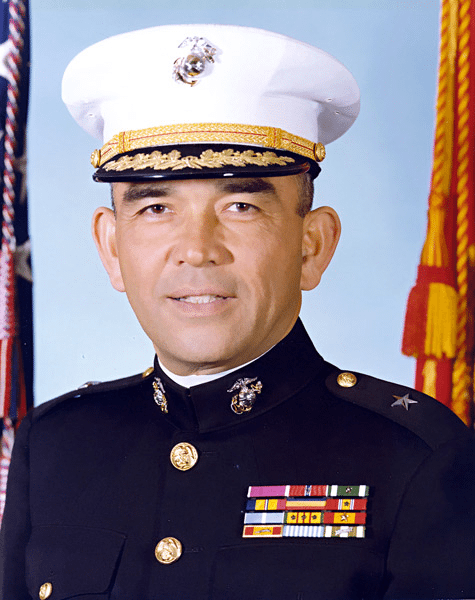 The first Guamanian to attain flag rank. The same General Blas as a young 2d Lt and recent graduate of Notre Dame prior to shipping out to the Korean War. Previous articleWHAT? Now Hillary Clinton Wants To Be A Pastor?